Individuals, groups, and societies all experience conflict, and attempt to resolve it in numerous ways. 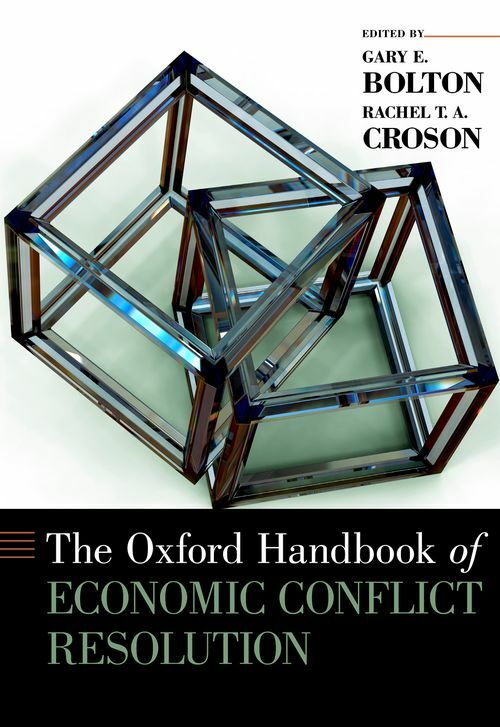 This handbook brings together scholars from multiple disciplines to offer perspectives on the current state and future challenges in negotiation and conflict resolution. It will serve as an aid to scholars in identifying new research topics, provide a guide to current debates, and identify complementarities between approaches taken by different disciplines and the insights which those approaches generate. Leading researchers from Economics, Psychology, Organizational Behavior, Policy, and other fields have contributed chapters. The volume is organized to purposefully juxtapose contributions from different fields to enable cross-fertilization between the disciplines and to generate new and creative approaches to studying the topic. These chapters provide a lens into current scholarship, and a window into the potential future of this field. The confluence of research perspectives represented will identify further synergies and advances in our understanding of conflict resolution. Gary E. Bolton is Schwartz Professor of Business, Penn State University. Rachel T. A. Croson is Professor and Director of The Negotiations Center, School of Economic, Political and Policy Sciences and School of Management, University of Texas at Dallas.